Summary: When Rose reports for Fenton County jury duty she figures she’s lucky to get out of a morning working at the DMV. Instead, despite a disastrous encounter with the new assistant district attorney, Mason Deveraux, she’s picked as a juror on a murder case. As the trial progresses, she realizes an ominous vision she had in the men’s restroom proves the defendant is innocent. And there’s not a cotton picking thing she can do about it. 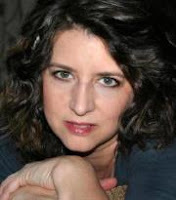 About the author: Denise Grover Swank lives in Lee’s Summit, Missouri. She has six children, three dogs, and an overactive imagination. She can be found dancing in her kitchen with her children, reading or writing her next book. You will rarely find her cleaning. Review: As shown in The Chosen series, author Denise Grover Swank can pen a gripping urban fantasy. With Twenty-Nine and a Half Reasons she proves she can write an engaging romantic mystery as well. Southern gal Rose is a hoot to read about. Spunky, funny, and downright entertaining, Rose is a modern day Lucille Ball complete with loads of zany--like having a vision while relieving herself in, of all places, the men's room. See, I said she's zany! Life is complicated with Rose--what with the murder of her mother and her boring job at the DMV. A summons for jury duty is viewed as a means for a welcome break from a week of the mundane. But as I said, Rose's life is complicated and there's that 'vision' she has about the guy on trial and now she has to figure out a way to prove his innocence. What's a gal to do? Swank has crafted a memorable character with Rose and surrounded her with quite a cast of supporting players. The mystery takes some interesting twists and turns and was always intriguing. I haven't laughed so loud and so much while reading in a long time. Rose's antics, her relatives and friends, and her cleverly scripted lines kept me glued to my ereader. I could give you twenty-nine and half reasons to read this series--it's that good. Cover comment: Vibrant, fun, offbeat, and there's that doggie too. This cover screams Rose! Book source: I received a promotional ebook copy of this novel for my honest review during a book tour. The author is giving away 3 print books (signed). Enter below. I like the sound of this book and series. Look forward to reading it. It's almost as someone lives a normal humdrum life gets a little excitement. Like I could be that girl. The blurb sounds amazing and I love that cover! Thanks for the giveaway!